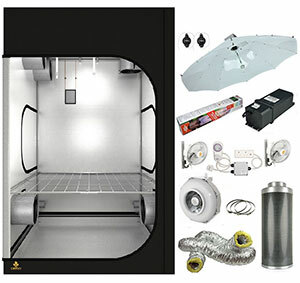 How To Assemble A Grow Tent Kit? Having a grow tent kit comes with so many advantages. You will be able to grow different types of crops in a controlled environment. From the look of things, one may assume that the process is complicated, which is not entirely the case. With proper guidance, you will realize that it is an easy process. There are a number of factors that will have to be considered for the plants to thrive. Some of the key factors that will make it possible for the plants to have a perfect environment include lighting, humidity, temperature and humidity levels. As the indoor growing tent kits have become so popular, I notice that there are a good number of people who would love to have them, but are inhibited by the lack of knowledge on how to assemble them. 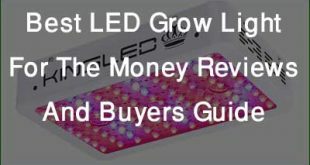 This is the main reason, why I decided to put together a simple guide that will break down the process, with clear details and a guideline on how to put up your grow tent. With this guide, you will be able to make a great indoor tent and grow any plants that you may wish to. This means that you will have to gather all the tools that are essential for assembly of the indoor plants growing tent. The grow tent can be pretty hot and as such, you may also want to have your favorite drink for this process. Once you confirm that all these tools are in place, you are ready for the process. When it comes to the assembly of the tent kit, the very first thing that you need to do is set up the tent itself. This means that you will put together the frame and the cover of the tent. This is usually a tool-free exercise as most grow tent comes with tool-free connectors and metal poles that click easily. There are some models that will have different items, but it is prudent to ensure that you have these items as part of the kit. 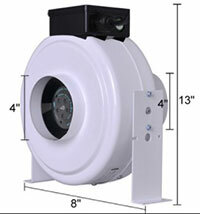 There are a number of suggestions when it comes to the setup of the ventilation system. However, I highly advocate for attached the filter and the fan inside the grow tent. This will increase the effectiveness of the ventilation and air circulation. If you have the very large carbon filter, you can place them on the floor, but this is not ideal as they may take up growing space and also draw warm air to the plants. Some experts recommend placing the filter and fan outside the tent, but this comes with so many disadvantages. There are people who say that this will space the space inside the tent, but it ends up being ineffective as well. When you have the fan outside the tent, you will increase the noise outside. Have the fan and filter inside the tent and hand them with rope ratchets. Read this Article to know more about How to Set Up Grow Tent Ventilation. 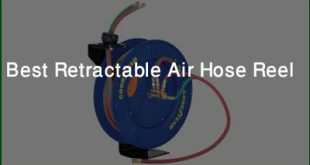 You can hang the inline fan using adjustable straps. This is to ensure that you can easily adjust the accessories, without affecting the plants. The tapered end of the fan should be pointed towards the exhaust hole. It is also advisable to have it at the center and well balanced. You should also use the nylon straps to hang the carbon filter inside the grow tent. 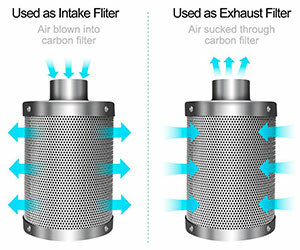 The flange of carbon filter should point towards the inline fan. You need to place the strap at the center so that it can be balanced. The next bit will be placing the ducting. You should start by taking the measurements of the length between the flange of your filter and the inline fan. Cut the ducting, using the wire cutters that you have. One end of the ducting should be attached to the fan flange using the ducting clamp. On the other end, secure it to the filter flange, but this does not need a clamp. The remaining length of the ducting should be run out of the exhaust hole and secure the other end to the tapered end of the inline fan with duct clamps. If you choose to place the ventilation on the floor, you can set the filter at the desired place. The inline fan is should be on top of the filter with the tapered end pointing upwards. You should also ensure that the fan flange goes inside the filter flange and need to be secured with foil ducting tape. Connect the ducting to the fan flange and secure it with ducting clamp and then run the ducting put of the tent in the ventilation opening. If your interest is in placing the ventilation outside the Hydroponics tent, the process will be similar to the one of placing it inside. Start by identifying the place where you want to place the filter outside the tent. Then the inline fan should be on top of the filter with the tapered end facing downwards. Then follow the process of connecting the ducting as in the step above. Lighting is essential and an integral part of the tent kit. You can hang this using the ratchets on the crossbar of that is on top of the grow tent. 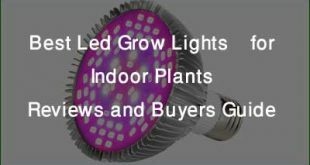 You should ensure that you have the right choice of the grow lights. The main advantage with using the rope ratchets is the fact that you can be able to adjust the lighting system depending on the environment you want to create. You should adjust the lighting as the plants keep growing. 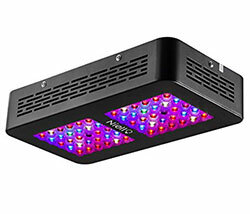 There are different types of lights that are used in grow tents and come with varied wattage. 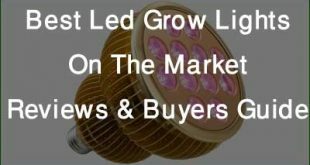 The common ones include the LED and HID lighting. You should ensure that there adequate reflection for the lighting. When installing the bulbs, you should be careful so as not to damage the lighting system. Always remember that water and electricity do not go well. So do not splash water to the lighting as this can be hazardous. If you choose to use HID bulbs, ensure that you run for 12 hours continuously so as to get maximum bulb life. The timer is essential for the lighting and the fan. You should plug the light system cord into the timer and if you will be timing the fan as well, plug it to the other side of the timer. You should ensure that you observe the specifications in terms of wattage and other essential details. The process of assembling the grow tent kit is not complicated as long as you have proper guidance. It is important to remember that there are different types of models of growing tent kits. As such, you may realize some slight differences in the some of the accessories that are installed. It is important to use the owners’ manual as a reference point when you are setting up the tent kit. I have put into consideration some of the key factors that you need to consider in the process. Having a grow tent kit will give you a platform that will allow you to grow plants hydroponically. If this guide has been of great importance, please feel free to give your feedback. You should also share this information with others so that they can learn as much.